I’ve been working in my sketch book more often. While doing some research for a workshop on journaling I felt reinvigorated to treat the journal as a place for experimentation and mundane records. 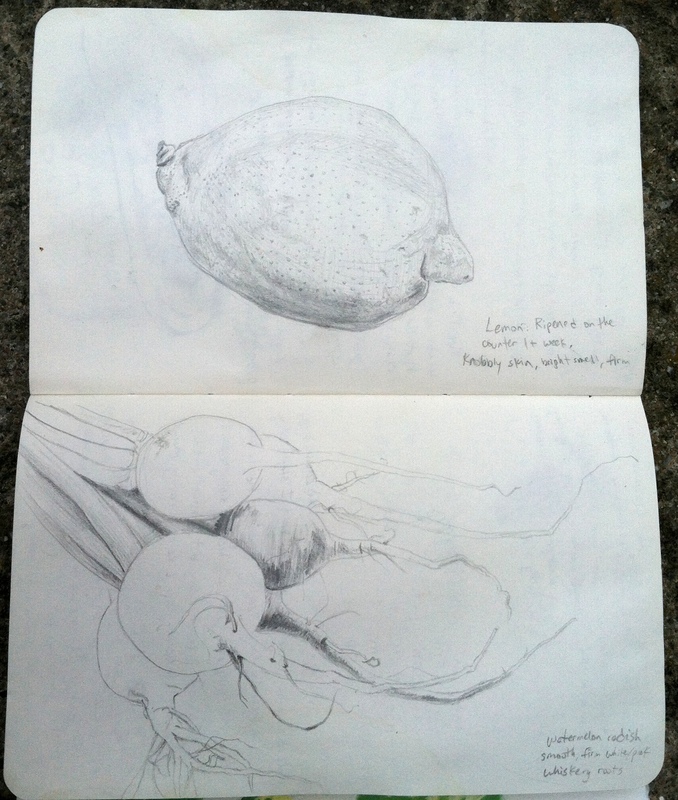 These are just some beets and a lemon, but I’m pleased with their simplicity. It feels nice to make something lovely in the sketchbook. I often feel a bit of pressure if I’m starting something on a single canvas or piece of paper, but if it’s in the journal, serendipity can emerge. Just look at those whiskery roots on this bunch of beets! Delightful. As for experimentation, this painting below gave me an excuse to play with some masking fluid in water colors. 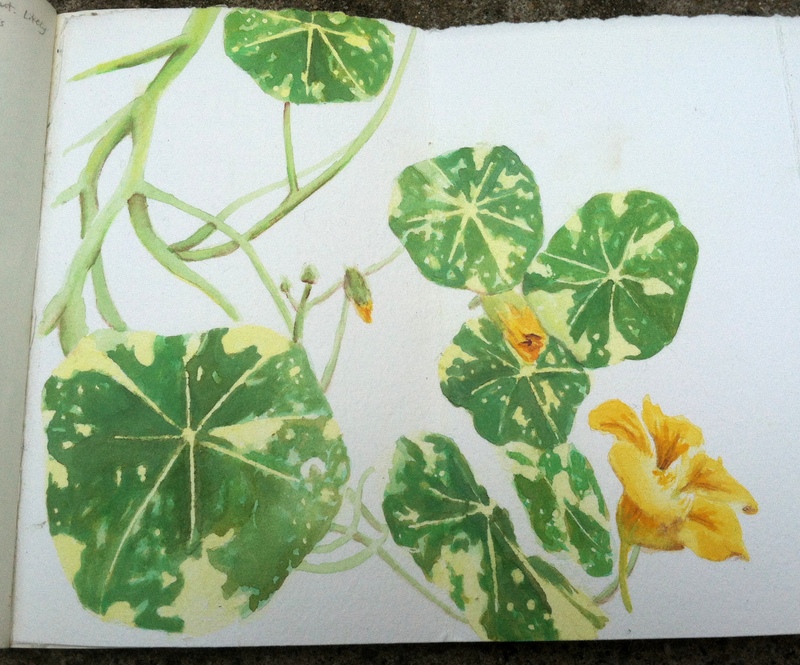 With all its spots, the Alaska mix nasturtium seemed like an ideal candidate.